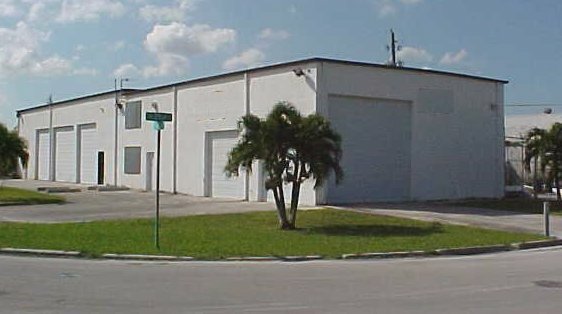 Ed Redlich and Ron Redlich, commercial real estate agents with ComReal Miami, Inc., have successfully negotiated the sale of a South Dade warehouse located at 25400 SW 140th Avenue in Princeton for $595,000 on November 20, 2002. This includes the vacant land next door at 25545 S.W. 140th Avenue which will be for future expansion. The seller was SBI Investments and the buyer was Sea Hunter Boats. The property consists of a 8,478 square feet warehouse/office building located on 1.6 acres in the Princeton Industrial area. Sea Hunter Boats is a new company, but has a veteran team made up of Ralph Montalvo, Greg Lynch and Tony Traad. The SeaHunter 18’ is already in production and is a handcrafted fiberglass/Kevlar flats skiff that achieves unmatched performance (70+ mph) while maintaining superior quality and craftsmanship. More products will soon follow. For more details, visit www.seahunterboats.com. “We would have never found this property without Ed Redlich’s assistance,” says Ralph Montalvo, president of Sea Hunter. For more information on ComReal’s real estate services, visit www.comrealmiami.com.